WASHINGTON, Nov. 13, 2018 /PRNewswire/ — NASA’s Mars Interior Exploration using Seismic Investigations, Geodesy and Heat Transport (InSight) lander is scheduled to touch down on the Red Planet at approximately 3 p.m. EST Nov. 26, and viewers everywhere can watch coverage of the event live on NASA Television, the agency’s website and social media platforms. Times and speakers are subject to change. Media can participate in the news conferences by phone. Plus, media and the public can ask questions on social media during the events by tagging them with #askNASA. To book an interview, media must contact Mark Petrovich at [email protected] or 818-393-4359. 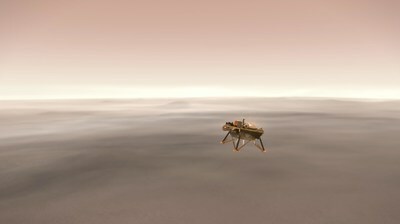 Be the first to comment on "NASA Brings Mars Landing, First in Six Years, to Viewers Everywhere Nov. 26"